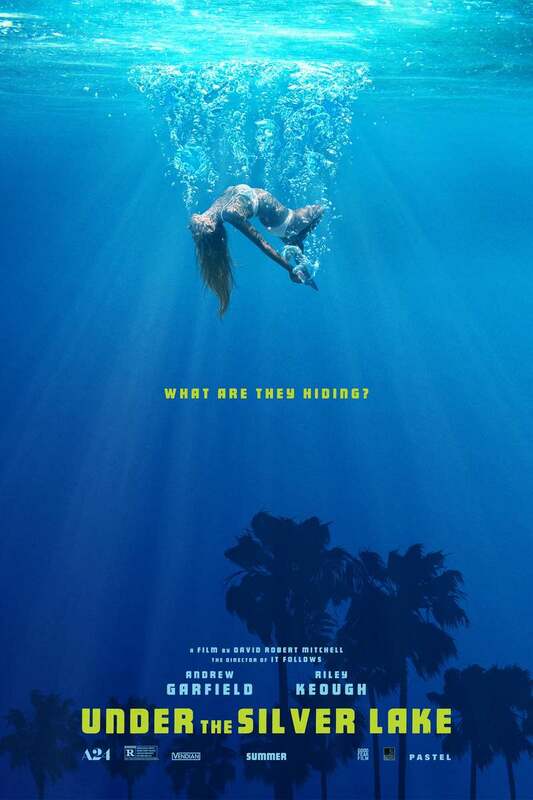 Under the Silver Lake DVD and Blu-ray release date not announced and available on Digital HD from Amazon Video and iTunes on April 23, 2019. Sam is a pretty smart guy, so when he finds an interesting woman swimming in his pool, he's intrigued. He watches her, and immediately knows there's something strange going on. When he goes to investigate more the next morning, he finds she's gone. He believes her disappearance is just as curious as her sudden appearance the night before. Unable to let go of his suspicions, he treks across the country in search of more clues. Along the way, he uncovers a conspiracy to weird to truly understand. DVDs Release Dates is the best source to find out when does Under the Silver Lake come out on DVD and Blu-ray. Dates do change so check back often as the release approaches.